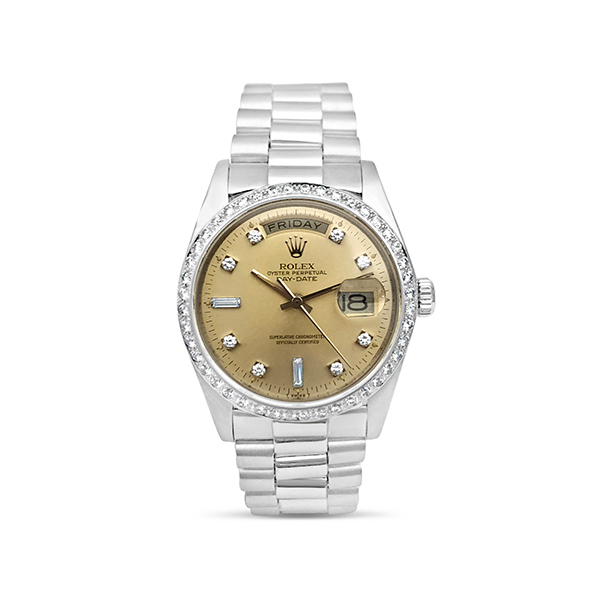 This vintage Platinum Rolex features a diamond dial and bezel. Circa 1982. Model: 18046. Serial Number 73485XX.